In partnership with Automattic. Sponsored by Pinterest. 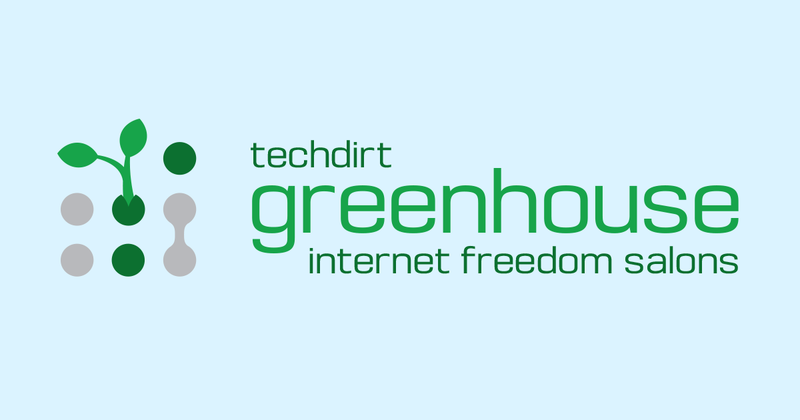 Techdirt Greenhouse Salons are a new series of small, results-focused events that bring together top experts and thinkers to discuss critical issues related to innovation, technology and the digital era. Request an invitation by filling out the form below. The question of copyright reform is already beginning to take center stage once again in the US and around the world — and, as always, entrenched companies in the entertainment industries, and other traditional advocates of stronger copyright, will spare no expense to be a driving force in the discussion. It’s time for those of us who understand what’s really at stake to start talking about real copyright reform: ways to fix this broken system so it not only stops interfering with digital innovation, but starts promoting it. We’re assembling a room full of people who understand that something serious needs to be done to fix copyright in the digital age, and we plan on leaving with real strategies to start promoting smarter, better copyright reform.